Our San Diego translation services include legal, court and document translation for government agencies. We offer a full suite of translation and interpreting services at guaranteed, competitive prices to organizations in San Diego and surrounding areas.Cal Interpreting & Translations has certified translators and interpreters in San Diego California with top-level security clearances that have worked with the majority of United States government agencies for their legal, document, court and on-site translations.These agencies include the Department of Homeland Security, FBI, CIA and United States Department of Defense.Our certified translators & interpreters ensure accurate translations for the government, legal, medical, entertainment, technology and education industries in over 200 international languages in the San Diego area. Our San Diego translation and certified interpreting services include legal, court, over the phone and document translation. 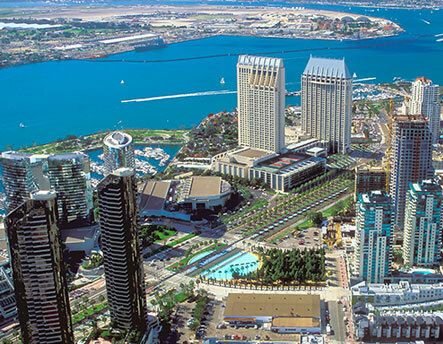 Our San Diego Interpreting services include Certified, Onsite, Phone and Conference interpreting. Our interpreters are registered and certified for legal and government contract work. Registered Court Interpreters: Under Govt. C. 68561(d) is one who passes an English fluency examination offered by an approved testing entity. Certified Court Interpreters: Pursuant to Govt. C. 68566 in the following languages; Arabic, Eastern Armenian, Western Armenian, Cantonese, Japanese, Korean, Mandarin, Portuguese, Russian, Spanish, Tagalog, and Vietnamese.